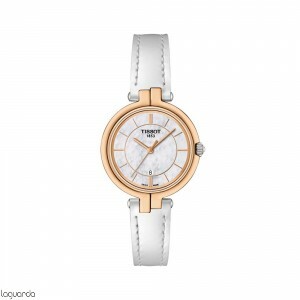 Tissot T-Trend Lady Flamingo, official dealer of Tissot, updated catalog of official prices in Barcelona. The clean lines of the Tissot T-Trend relj lady Flamingo are a perfect simplicity, make it a clock of a beauty in its purest form. 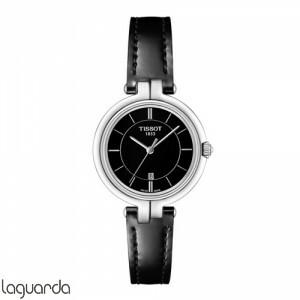 It represents the minimalism and modernity effortlessly. 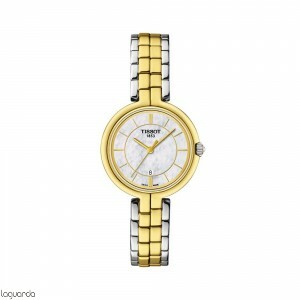 An elegant piece of jewelry called to be a classic that never gets old. The quartz watch Tissot Flamingo Women, it has the elegance and sobriety, with its forms, this piece is ideal to dress and wear a discreet and beautiful jewel. 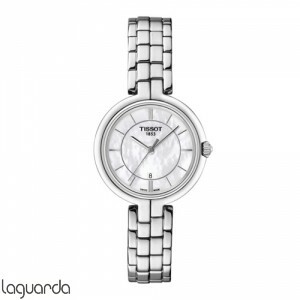 The Flamingo Tissot watch is a no less beautiful for women. 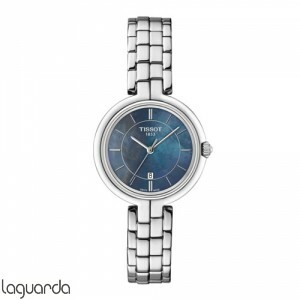 Presents a beautiful forms, giving an aspect of current gem, thanks to the combination of its sphere and round box and thin belt or bracelet with a simple design, it is perfect in its simplicity. 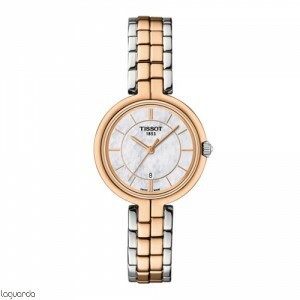 Available in several different colors in the area and different materials and colors for the field or cuff. 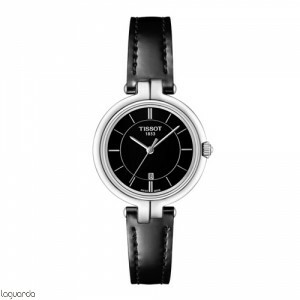 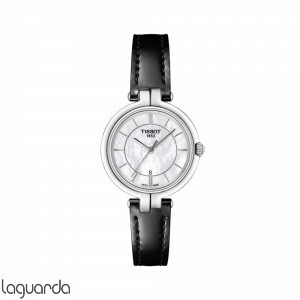 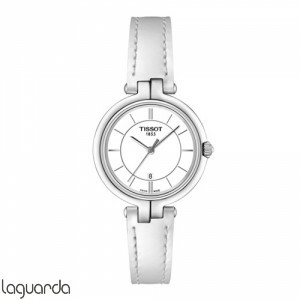 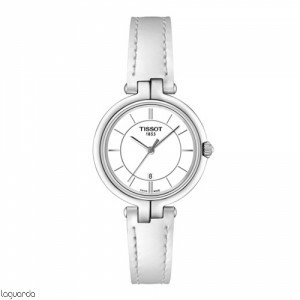 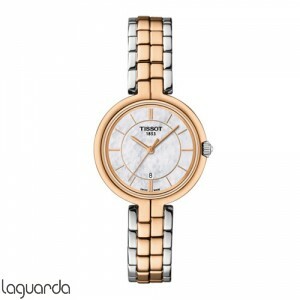 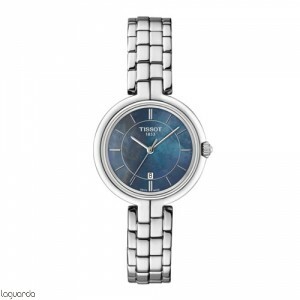 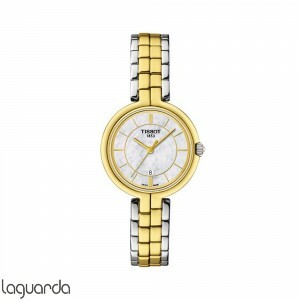 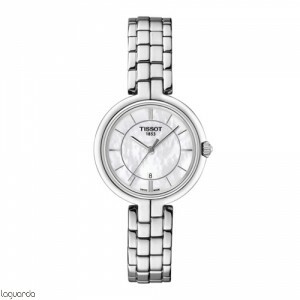 There is a Tissot ideal for every woman or occasion and Flamingo Jewelry Laguarda we can advise you personally have official catalog and prices.